A few months ago I was honoured to be invited to write and perform a poem for the 30th Anniversary of Rochdale Artists. In the run up to the event I worked on my poem which went through several iterations before I finally settled on placing a number of well known artists from the past in the context of Rochdale, past future and present. The event took place today at The Coachhouse in Littleborough with a buffet lunch and an exhibition which will run for a month. 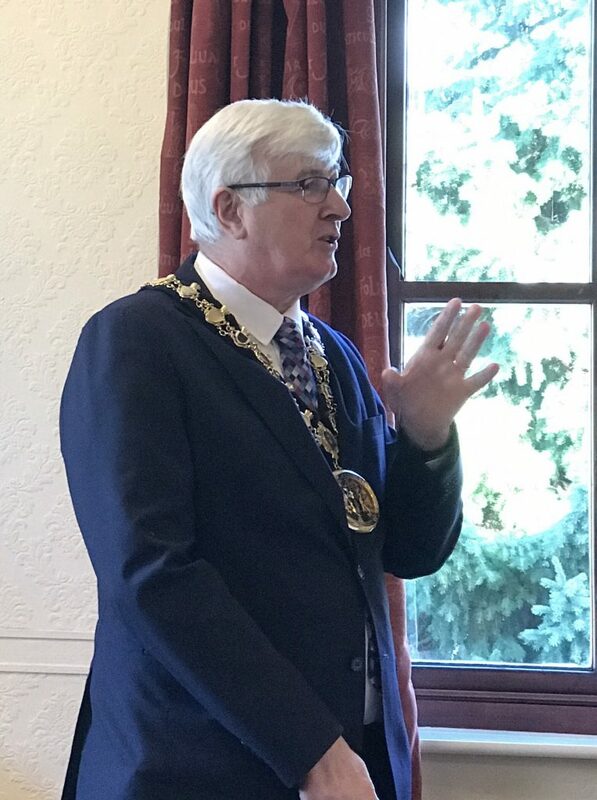 George Hardy, president of Rochdale Artists introduced the Mayor of Rochdale who spoke about the exhibition, his own interest in art and the importance of the arts to our society. The Mayor’s comments were added to by Councillor Janet Emsley, cabinet member for communities and culture, who spoke of the value of such organisations and the people who run them. It was then time for my poem to have its first outing, having been previously only read out loud in an empty room. beyond the gates of Falinge Park. and she knew; that I knew. Constable was painting the lock gates. In the bushes by Touchstones. It needed more lines, some blocks of colour. and that tent pitched at Rakewood? And whipped up a storm in oils. and in a quiet corner Miss Stansfield posed for Leonardo. taking the p*** in The Regal Moon? And where are the artists now? and only the names have changed. with Taklon and badger and hog. And they’re watching and waiting. like Miss Stansfield with Leonardo.